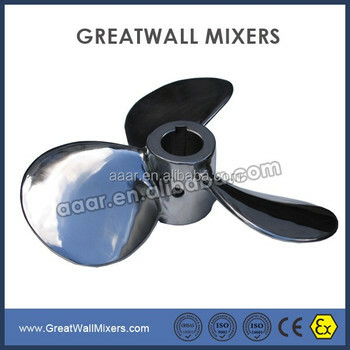 The axial flow paddles have large onflow diffusivity and low shearing force. It economizes power 30~40% in the same mixing intensity, and its mass transfer coefficient advanced 20% in the same power. It is used specially in processes of mass transferring, heat transfer, suspending and oxygen dissolving of biology ferment. Remarks: The inner hole of impeller can be made according to the request of customers, and wheel hup height is the same as the inner hole.